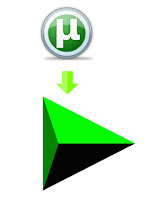 Home » web tricks » How to download torrent files using IDM Internet Download manager ? How to download torrent files using IDM Internet Download manager ? Latest trick to download torrent files using Internet Download Manager(IDM).We are all familiar with torrent files and Internet Download Manager,as we use the former to download our favorite music and movies and the latter one of the best download manager.I will explain about the method to use IDM to download torrent files.Using IDM to download torrent files will speed up the overall download process.Even the torrents with low seeders or leeches can be downloaded at higher download speeds.This process is done with a website namely Zbigz.com,earlier another website namely Torrific.com provided this option and its unavailable at present.There is another website Bitlet.org which also provides the same facility but here I prefer Zbigz.com. 4.Then click on the 'Go' button and select the option to continue as free user. 6.Then click on the 'Zip torrent' option which will be found on the right side after the cache has been created. This process is working fine for me and I use it to download torrent files using IDM with high speed.Its a simple process just try by yourself and If you still have any doubt comment it below. How to download using Bitlet?